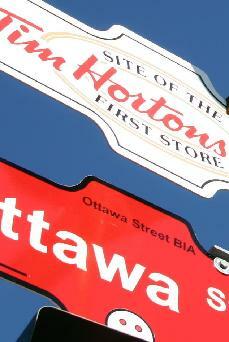 Forgotten Hamilton: Tim Hortons #1 - The birthplace of one of the world's largest fast food chains. Click image to learn more. Forgotten Hamilton: The Toronto, Hamilton & Buffalo Railroad Station. Click image to learn more. 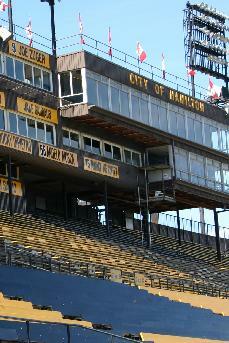 Forgotten Hamilton: Ivor Wynne Stadium, Home to the CFL Tiger-Cats. Click image to learn more. 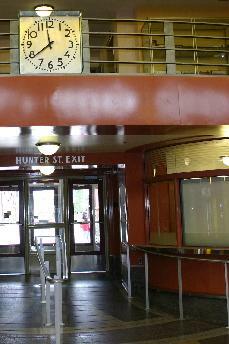 Forgotten Hamilton: CN Railway Station. Click image to learn more. Forgotten Hamilton: Indoor Public Market. Click image to learn more. 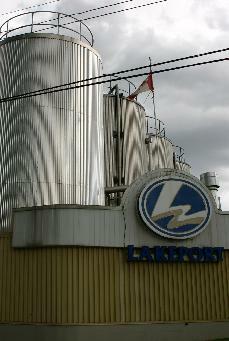 Forgotten Hamilton: Lakeport Brewery. Hometown brew of Steel City. Click on image to learn more.